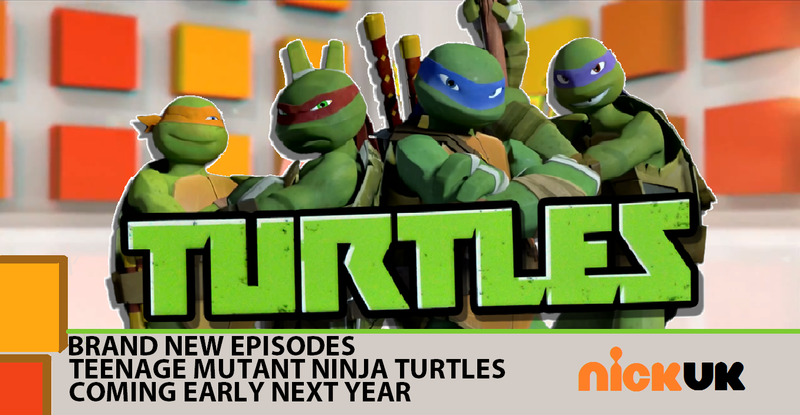 NickUKHub: Nickelodeon UK & Ireland to show Brand New Teenage Mutant Ninja Turtles in 2013! 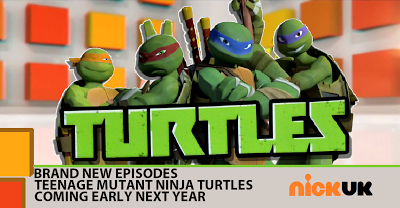 Nickelodeon UK & Ireland to show Brand New Teenage Mutant Ninja Turtles in 2013! Nickelodeon UK & Ireland's Press Officies official Twitter (@NickelodeonUKPR) have announced that Nick UK & Ireland will premiere brand new episodes of Teenage Mutant Ninja Turtles in early 2013. -Any idea when we'll see some new TMNT? In its absence I've been acting episodes out in my flat & I keep breaking furniture. @NickelodeonUK - @[...] I can tell you that your furniture will be safe in the new year, we won't keep you waiting for long!